The Greenville Independent School District and the Greenville Suzuki Strings Association make one of the most dynamic collaborations in the Suzuki world today. No other town Greenville’s size can boast of a Suzuki program offered completely free to its students in addition to a yearly Spring Workshop. A model of success! 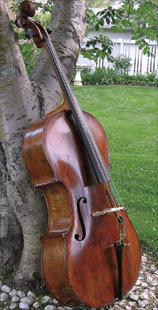 The Greenville Suzuki Strings Association was formed in 1997, dedicating itself to encouraging and supporting a Suzuki strings program for the children and adults of our community. Suzuki instruction made its debut in Greenville, Texas in the Fall of 2002 with violin lessons for the four year old Hunt County Head Start students. Today, the program has two violin teachers and a cello instructor who split their time between eight campuses: Bowie Elementary, Lamar Elementary, Travis Elementary, Carver Elementary, Crockett Elementary, the Sixth Grade Center, Greenville Middle School and Greenville High School. GSSA is focused primarily on raising funds for instruments for the GISD students and sponsoring the annual Spring Suzuki Strings Workshop. The GSSA has been able to purchase instruments for all of the children taking cello, viola and violin lessons in GISD at this time. The need to acquire instruments continues as our students grow into larger instruments and new students join the program.